For more information on traveling to Gettysburg, PA or to make a booking at Battlefield Bed and Breakfast Inn give the Front Desk a call at 1-717-334-8804. The Front Desk is available to take your call from 9 AM to 9 PM ET Monday through Sunday. We look forward to seeing you at the Inn! 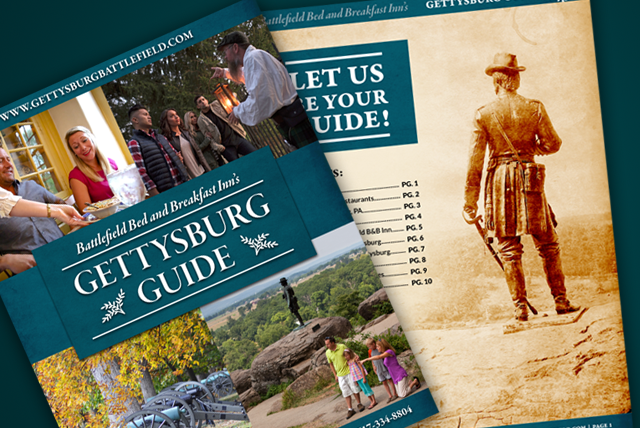 Click the download button below to claim your Gettysburg Guide.